If you want to know all about the best online slot machines of 2017, then this guide is a must-read for you. There are now literally thousands of different online slot machines for a player to choose from and they all offer a great deal of fun and excitement, whether they are classic three reel slots or modern video slots with five or more reels and hundreds of winlines. But which are the best online slot machines? We have reviewed the most popular slot games by playing them and listening to the opinions of other players and we can now present you with our top 10 of the best online slot machines which are available to play at many online casinos right now. 2017 is the year when online slot machines became the most popular they have ever been and now you can play the same top slot machine games that most players are currently enjoying and be entertained by the best graphics and bonus rounds that the gambling industry has to offer. All of the following games are available as free slots so you can try them before you start to play for real. 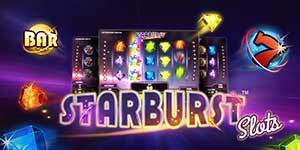 Starburst is a slot machine which has been around for quite a while and it’s no real surprise to see it’s still one of the most popular slot games on the internet. On the face of it, Starburst is an incredibly simple game and some might even say a little boring, but it is the simplicity which makes it among the best and most playable games on the market right now. There is no bonus round, but what makes this game interesting is the Wilds. The stars which show up on the second, third or fourth reels are wild and expand to fill the whole reel when they come into view. The Wilds hold and the rest of the reels respin to give you two chances to win. If Wilds appear on another reel during this there is yet another free spin. Starburst forms winning lines from right to left as well as left to right to give you even more chances to win. There are a number of Mexican-themed slots online, but Spinata Grande is the most popular of all slot games that are based on the North American country. The symbols are based on piñatas, but if you hit them you won’t get any sweets, just cash winnings! 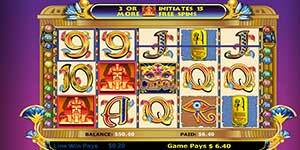 This five reel slot machine doesn’t just have symbols arranged how you would expect to find them on a video slot machine – there are large symbols that are 2×2 and 3×3 which can give extra help to form big winning combinations. The 3×3 fruit machine that can drop in at any time will award you free spins in a bonus round where wins are more frequent thanks to the huge Skull Wild which often occupies the three middle reels. 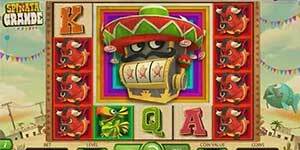 The graphics and music are exceptional and the Mexican vibe is genuine, making this one of the top slot machine games. Whether you like the band or not, it’s pretty likely that you’ve heard the classic song Ace of Spades at some point during your life. 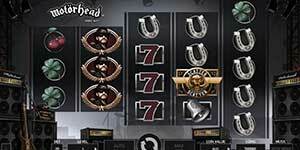 This slot machine sees everything turned up to 11 and lets you gamble like a rockstar. 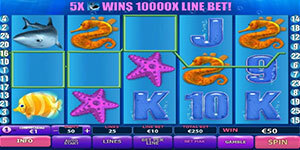 The layout of this online slot machine is unusual for a five reel machine. There are 3, 3, 4, 4 and 5 characters on the reels as you move from left to right. The winlines can be a little confusing at first, but you are helped out by Wilds and there are also Scatter symbols which can reward you with a fantastic bonus round. The band’s music and the voice of the main man himself, Lemmy, can be heard throughout the game and if you like to rock, this is the best slot machine for you. There is no shortage of slot machines that have the theme of Ancient Egypt as a major selling point. Cleopatra is the best of the bunch when it comes to these and can teach you a little history while you play. The eerie Egyptian music and excellent graphics will make any player feel like an explorer stepping inside one of the pyramids for the first time in a thousand years. You’ll see the Pharaoh and symbols which resemble hieroglyphs. Cleopatra herself is Wild and if she appears on one of the 20 winlines she won’t just help to form winning combinations, but she’ll also double the payout. This exciting five reel machine also has Scatter symbols in the form of the Sphinx. Three of these will reward you with free spins which can be anything from 15 to 180 as well as multiplying all winnings by three. 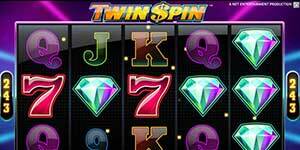 Twin Spin is another incredibly simple, but effective slot machine. Complicated games aren’t necessarily the best and the simple excitement of Twin Spin makes it one of the top slot machine games year after year. Classic fruit machine symbols of bells, cherries and 7s are used here, as well as diamonds and playing cards from 9 to Ace. There is no bonus round in this game, but there are Wilds. What makes this popular game truly exciting is the way that adjacent reels will often contain identical symbols which increase the winning chance. Occasionally the reels will go red and up to four of the five reels will be identical for a potential mega-win. There are 243 paylines in this game and that means that there are generally several different winning combinations each time you win. 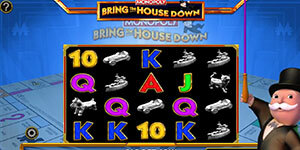 This slot machine is popular with both video slots fans and lovers of classic slots from years gone by. This slot machine from Playtech will take you on a sub-aquatic adventure with its 5 reels and 25 winlines. You will see many underwater creatures such as turtles, sharks and of course the killer whale, Great Blue himself. Great Blue acts as the Wild symbol and as well as helping you by forming winning combinations by replacing missing symbols, he’ll double your winnings too. This popular slot game also offers an exciting bonus round with potentially massive payouts. Three or more giant shell symbols trigger the bonus round, where you will immediately get 8 free spins and a multiplier which doubles all wins. Choose from one of the five shells that are displayed and your total number of free spins can be increased to up to 33 and the multiplier can go as high as 15x. This is one of the best bonus games available on one of the best online slot machines and you really don’t want to miss it. There have been many slot machines based on the popular board game of Monopoly through the years, but this is by far the best that has ever been created. There are playing pieces from the game and 10, J, Q, K and A represented as symbols and the Monopoly symbol will give you free spins if you land three in a row on an active payline. What really ramps up the excitement and makes this one of today’s top slot machine games is the Wilds. Behind the reels you will see the green houses from Monopoly falling down. If these stop while they are in view they become Wilds and help to form winning combinations on the reels. There are also exciting random bonuses where wins are multiplied by a ‘Hotel Bonus’ and a host of other mystery wins which can crop up during the course of normal gameplay. 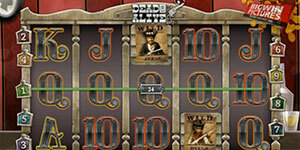 Some of the most popular slot games centre around the gunslingers of the Wild West and NetEnt’s Dead or Alive takes you back to the late 1800s in the United States. It might only have 9 winlines, but don’t let that fool you into thinking it’s not as exciting as machines with hundreds of ways to win, because the action comes thick and fast here. For instance, there is a jackpot of 49,000 times your stake which is one of the best payouts on a standard video slots game. Dead or Alive has a bonus round which is triggered by three or more Scatter symbols in the form of a pistol. This gives you free spins with a double win multiplier and you’ll also encounter Sticky Wilds which remain in the same position during the free spins for an enhanced winning chance. No top 10 of best online slot machines would be complete without at least one progressive jackpot machine. Progressives take a little part of each stake and put it into the jackpot fund. This happens with every player who plays the same game on the network and the pot grows before your very eyes to create some fantastic potential payouts. Many players of Mega Moolah have become millionaires and it is the slot machine which has paid out most in the history of progressive jackpot slots games. 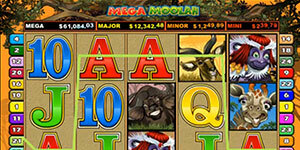 Mega Moolah has five reels and 25 paylines and follows an African safari theme and the lure of massive jackpots make big game hunting fun in this exciting game. The lion is Wild and three or more Scatter symbols will start a bonus round of 15 free spins where all wins are tripled. To many it will come as no surprise to see Gonzo’s Quest in the top spot of 2017’s best online slot machines. This is a popular slot with almost all players and it is quite unique. The reels, while laid out in typical style for a five reel machine, are displayed as stone blocks with the symbols carved into them. When they drop down and a winning combination is created, the winning stones are removed and new ones drop to fill in the empty positions. There is a x2 multiplier when this happens. If you win again the game continues with a x3 and x5 multiplier. If the blocks drop and there is no new win then it reverts back to the standard x1 payout. There are Wilds and there is a bonus round of 10 free spins which is triggered by three bonus symbols in a row on an active payline. 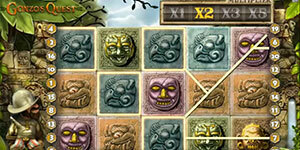 During the bonus round the multipliers are trebled and the game is played in the same way as normal. Multipliers in the bonus round are x3, x6, x9 and x15 so the winnings can be very large.